Blue Mountains International Hotel Management School (BMIHMS) and Torrens University Australia (TUA) are on the list of the China Ministry of Education (MoE) webpage. It means bachelor and master degrees granted from BMIHMS at TUA will also be recognised by Chinese government. Blue Mountains International Hotel Management School (BMIHMS) at Torrens University Australia in Suzhou is a joint venture with Suzhou Tourism and Finance Institute (STFI) offering a two-year Australian Quality Accredited Associate Degree of Business (International Hotel & Resort Management) in China, pathway to a Bachelor's Degree in Australia. Study our two-year undergraduate Associate Degree of Business (International Hotel & Resort Management) in Suzhou. Students have the opportunity to complete the BMIHMS Bachelor of business degree in Sydney, Australia and also further study in our Master programs. 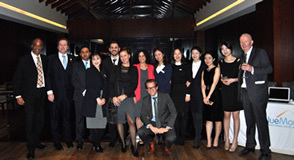 Why study at Blue Mountains International Hotel Management School Suzhou? GUARANTEED CAREER OPPORTUNITIES Hospitality and Tourism is the fastest growing industry in the world. China's hospitality industry is booming. INTERNATIONALLY RECOGNISED QUALIFICATION All BMIHMS at Torrens University undergraduate courses are fully self-accredited by Torrens University Australia in accordance with the Australian Higher Education Standards Framework (2015) and regulated by the Tertiary Education Quality and Standards Agency (TEQSA). 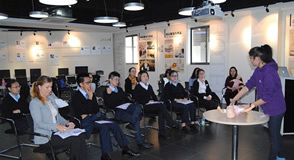 OUR COURSES ARE TAUGHT IN ENGLISH Combine hands-on units of study at Practical Learning Centre in Suzhou Campus with 2 Industry Placements in international hotels. INDUSTRY NETWORK The School has established a large network of international chain hotels and education institutions where students have built their career or furthered their education overseas thanks to their hospitality education. OUR COURSES ARE TAUGHT IN ENGLISH Our curriculum and learning materials are developed and follow the same learning outcomes and assessments as the Blue Mountains International Hotel Management School - Australia, thus guaranteeing a high quality standard of education in Business (International Hotel & Resort Management). 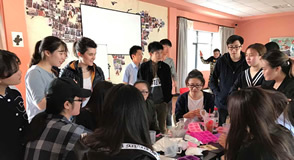 Students will have the chance to experience international hospitality education whilst living in China. INTERACTIVE CLASSES Students are fully involved in the learning process and are taught how to improve their oral communication skills. Creative abilities are improved through their assignments, research, group work and presentations. COST EFFECTIVE After studying in Suzhou, China, students can go to the Blue Mountains International Hotel Management Hotel School - Australia, to complete their bachelor's degree. By studying the Associate Degree of Business (International Hotel & Resort Management) in China, the student saves about 25% in tuition fees by comparison to average tuition fees alone for similar Hospitality courses in Australia or Europe for the first two years of study. PASTORAL CARE From the very beginning, Blue Mountains International Hotel Management School provides individual support to students. Students will be given up to date information on their courses, advice on career development in hospitality and how to further their studies in Australia.